Rick Aguilera (Richard Warren Aguilera) is an American pro baseball player who played from 1985 to 2000 as a pitcher for the New York Mets, Minnesota Twins, Boston Red Sox and Chicago Cubs. He went to high school in California and was drafted by the St. Louis Cardinals soon after graduation, but his desire to attend Brigham Young University weighed more in his mind than a baseball career. 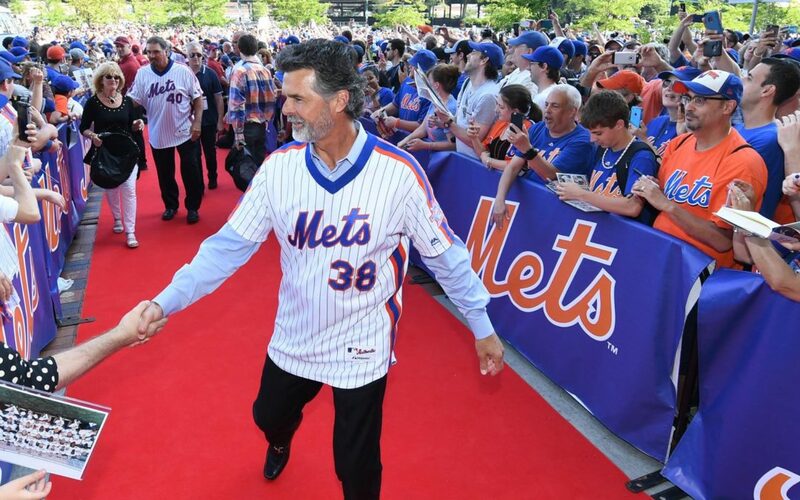 After three years at BYU, the Mets got him to sign a contract in the 1983 draft. He went on to play for the Minnesota Twins as a starter—although from 1990 until 1995, he played as a premiere closer and was named to three consecutive All-Star teams from 1991–1993. When they traded him to the Red Sox, he hit a low point in his career. Now that he was free agent, he chose to go back to the Minnesota Twins and was put in as a starting pitcher again. In 1999 he was traded to the Chicago Cubs. Aguilera officially retired in 2001. Aguilera is married to wife Sherry since 1988. They have two children: Rachel (born 1991) and Austin (born 1996). Aguilera now lives in the San Diego suburb of Rancho Santa Fe, California and dedicates his time to his family and real estate investments. He has also served as the pitching coach for the Santa Fe Christian High School baseball team from 2001 to 2005 and as the head coach from 2005 to 2007. On June 21, 2008, Rick Aguilera was inducted into the Minnesota Twins Hall of Fame.